Back in the 1960’s and 70’s computers were locked away in “glass houses”, accessible to only a privileged few. This was primarily due to environmental and security requirements. But, just like the physical aspects of the hardware, operating systems and applications were also “locked” into a proprietary model, controlled by a few vendors. Over the years, minicomputers, client/server computing, virtualization, the internet, open source and “the cloud” helped to break the bond between physical hardware, proprietary operating systems and applications. “Portability” became a reality (well, maybe a goal). Now we’ve taken another step towards portability with things like containers and generic runtime environments. Process control systems, primarily in manufacturing and logistics, have lagged behind the trend toward open, portable systems. Programmable Logic Controllers (PLCs) have typically been specialized platforms designed to control the behavior of a specific device – say a welding robot, or valves, or maybe even something more complex as a turbine generator. PLCs (or “controllers” in general) are provided by a somewhat small number of vendors, each with its own operating system, applications, management tools, etc. Typically, there is not a “SDK” as the controller is only programmable through a fixed set of commands which require specialized skills. Agility and flexibility are not a hallmark of these devices. In a world where competitive advantage is transient and fleeting, having to wait days, weeks or months to change production lines can seriously impact market positioning. The good news is that change is in the wind, and it’s quickly gaining momentum. The Open Process Automation Forum (OPAF), which is part of The Open Group, is defining new frameworks for process automation systems based on ISA95 Level 1 and Level 2 functions. These systems will be based on open architectures for both hardware and software and will enable applications to be quickly and easily deployed, moved and shared. The following diagram shows how new “distributed control nodes” can be used to control end devices and interact with higher level functions and applications running on Real-Time Advanced Computing (RTAC) platforms. Using virtual machines, containers and “microservices” (breaking up applications into small parts), controller functions can be deployed on generic hardware with common operating systems and runtime environments. This allows maximum use of available resources and provides a mechanism for failover (resiliency) to other common platforms. Another added advantage is that “digital twins” can now be created near the actual devices being controlled, reducing latency and improving performance for mission/life critical systems. Through the convergence of Information Technology and Operations Technology, manufacturers and logistics companies can now realize more flexible and reliable process automation – at a lower cost. But, deploying these new system architectures does have tradeoffs. Breaking applications into microservices and deploying them on reusable infrastructure introduces another type of complexity – scale out. 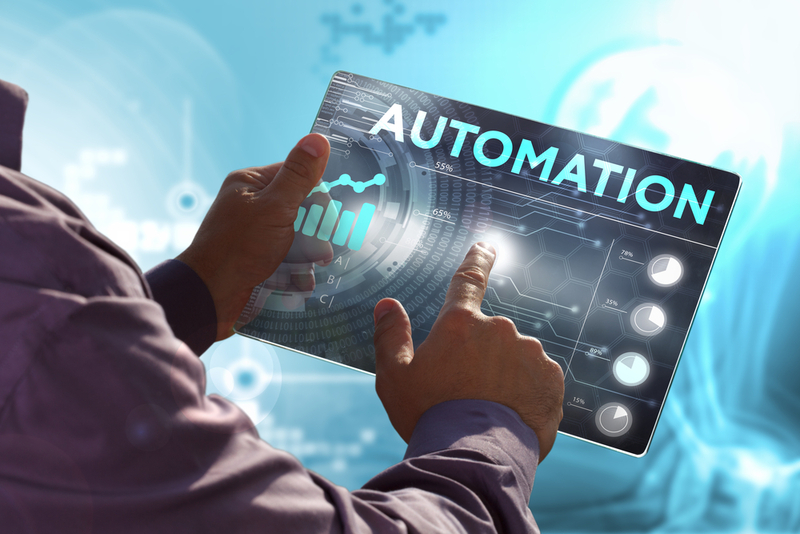 Instead of a few devices that were once controlled by specific management systems and organizations, new process automation systems will consist of thousands of end points that must be deployed, connected and managed. Edge Clouds are the next step in cloud evolution. They take the best practices from public and hybrid clouds and apply them to the edge. However, many of these practices and tools, especially in the DevOps world don’t translate directly to the scale and complexity of the Edge Computing and IoT world. A new breed of closed-loop orchestration that utilizes integrated topology and intelligence is required to manage the complex nature of the edge.